With an ideal location between San Jose and Los Gatos, Campbell gives you the best of both worlds– a vibrant downtown with a close knit community. The neighborhood is pedestrian friendly with an abundance of parks and Los Gatos Creek Trail access. Newly renovated, the Pruneyard Shopping Center’s movie theater, craft food restaurants, and retail shops are all within walking distance to Downtown Campbell. 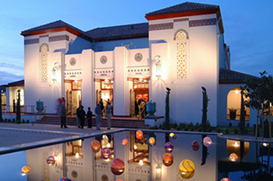 The Historic Downtown provides a venue for entertainment, art, community and cultural events, and a farmers’ market. The annual Summer Concert Series is always a local hit. From a kid-friendly candy shop to a bustling brewpub, there’s something for everyone to enjoy!